Hey guys! I know you’re psyched about Before Watchmen, and why wouldn’t you be? Prequels are great! I mean, without The Phantom Menace, we would never have met Jar Jar Binks, beloved hero of all. And who could forget the sublime beauty and grace of Dumb and Dumberer: When Harry Met Lloyd? But while you’re eagerly waiting to learn the Secret Origin of Bernard the Newspaper Salesman, Alan Moore is hard at work on the final chapters of his second prose novel, Jerusalem. Jerusalem will be a metaphysical history of the Northampton neighborhood where Moore grew up, and will consist of over 600,000 words. (Without pictures! So weird.) Why Moore would write something so ambitious and original, instead of something profitable, like Before Rising Stars or Before 100 Bullets, is beyond me. I mean, this a guy so crazy that he believes in things like creator’s rights, and the inherent magic of creativity and imagination. 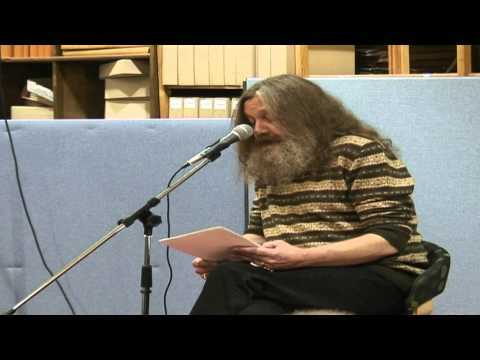 Anyway, here’s a video of Moore sitting around while his mighty beard reads a chapter from the novel. Enjoy.